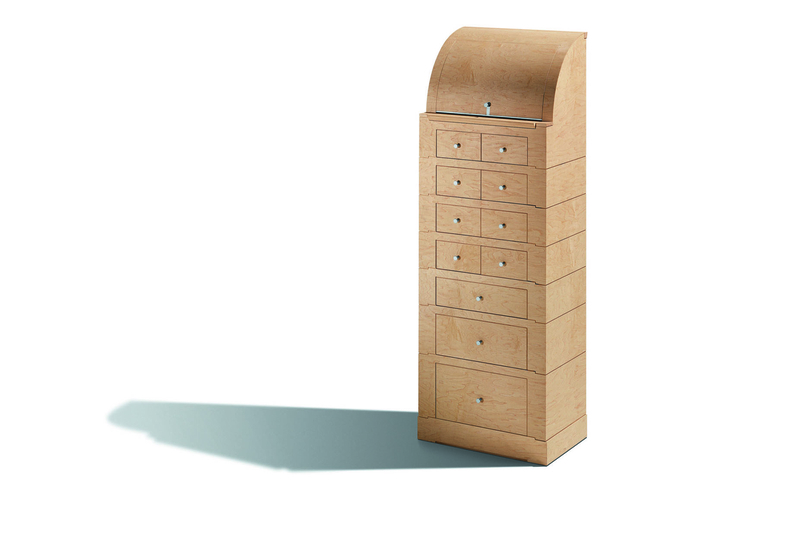 Lia is a tall chest of drawers with the frame in polished maple plywood and veneer. 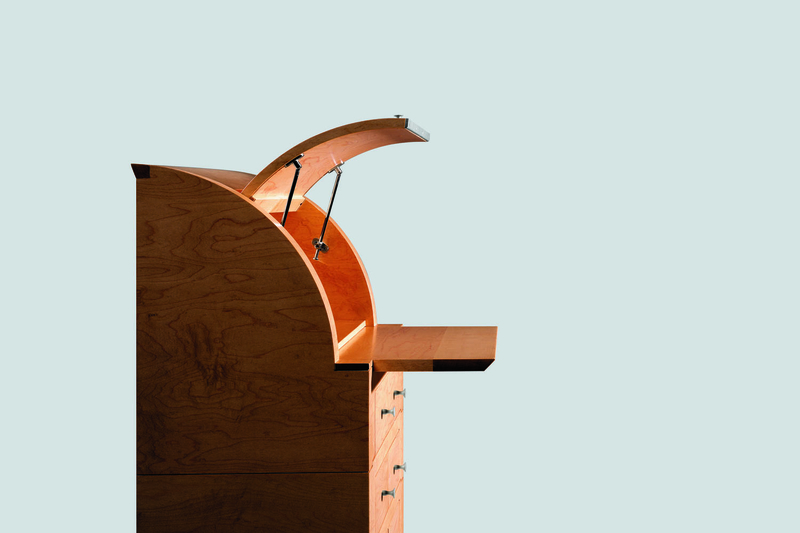 It is equipped with eleven drawers, an upper compartment with flap door and a removable shelf. The handles are in matt painted metal.